Looking for Psychological Therapy in Chelmsford? 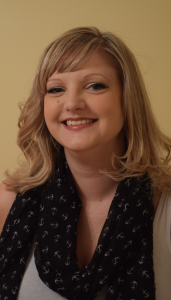 Hi, my name is Jenny Hartill and I own Cloud9 Therapy and Chelmsford Therapy Rooms. Whatever has brought you here today, I want you to know that I take your therapy seriously. I aim to see new clients as quickly as possible. As a private practitioner I pride myself on providing a premium service. Using hypnotherapy, counselling or a mixture of both, I help clients overcome their fears, anxiety, depression, self esteem issues and achieve their goals. I provide psychological therapy in Chelmsford at a central location opposite the bus station. I help people that want to get better. Whatever issues you are going through now, I can empathise with how you feel. Having had, and recovered from, a severe anxiety and panic disorder, it was therapy that helped me become the successful person I am today. I know how that first therapy session feels, I remember the doubt. Wondering whether there was any point in going to see a therapist. Considering where I am now, I couldn’t have got here without therapy. It is for this reason that I do what I do. And consequently, I am very proud to say, that I have helped many people move forwards with their lives. I am a dedicated professional with a passion for helping people. This is the bravest thing you will ever do, and I am here to guide you through the process in a non-judgemental, safe, friendly atmosphere. I have developed a unique way of working with clients. My brand of therapy has evolved as a result of my experience in private practice so that I can help you feel better and overcome your issues. I’ve treated a wide range of clients over the last 7 years and I use the methods that I do because they get results. Consequently, I do get recommended quite a lot but because I’m a private practitioner I can be flexible. This means that although my appointments tend to get booked up quickly, I am usually able to see new clients within 1-2 weeks. Please see the other pages on the menu that give extra information about my therapy services. If you have any questions or concerns, just give me a call on 0330 100 5162 or drop me an email on info@cloud9-therapy.co.uk or CLICK HERE to fill in the contact form and I’ll get back to you. I’m happy to answer any questions you might have about therapy! Please note any information you give me over the phone, via email or in person is strictly confidential. To find out more about me please see the “about” tab.